A STUNNING FULLY FURNISHED CORNER UNIT in immaculate condition with one of the BEST GOLF VIEWS in Reunion! This condo has an ACTIVE MEMBERSHIP that is transferable to the new owner. Enjoy beautiful hard wood flooring throughout the main living areas and the master bedroom. It has an extra outside storage closet & a full size washer & dryer. This community offers a hot tub, playground with sand volleyball pit and there are tennis courts & a pro shop in close proximity. 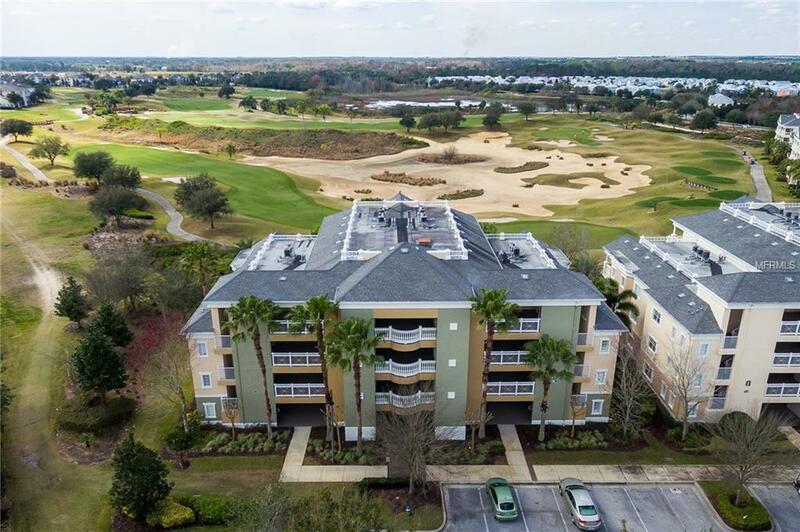 Reunion Resort is a 2,300 acre private golf & tennis community, just 6 miles from Disney and a short drive to Orlando International airport. Amenities Additional Fees Social Or Golf Membership Available For Additional Costs For Access To The Golf Courses Tennis Courts Spa And Main Waterpark. Pet Restrictions No Aggressive Breeds Use A Leash.